In a recent discussion posted online between Vodafone and Warren Saunders, Sony’s UK and Ireland Sales Director, Saunders talks about the new Xperia Z3 and Xperia Z3 Compact. Early in the talks, Saunders states that when it comes down to a buyer deciding between the larger Xperia Z3 and the smaller Z3 Compact, it’s simply, “a choice thing.” With almost identical internal specs, the question is, do buyers want a big phone or a not-so-big phone? But more importantly, and the actual reason for this post, is that Saunders alludes to one very important theory within this discussion. To him, it appears that hardware/design innovations have essentially reached a plateau, and companies like Sony, will begin to focus more on a cohesive package across multiple devices. Taking a step back and looking at many of the flagship products offered from today’s top device manufacturers, it would appear that each company has basically reached its peak in terms of hardware design offerings. For example, while minor tweaks have been made, the past few Galaxy devices from Samsung have basically looked the same, plus HTC seems quite happy with the appearance of their M series of One devices, with last year’s One (M7) looking very similar to this year’s One (M8). The point is, each company seems content with their own individual design language. 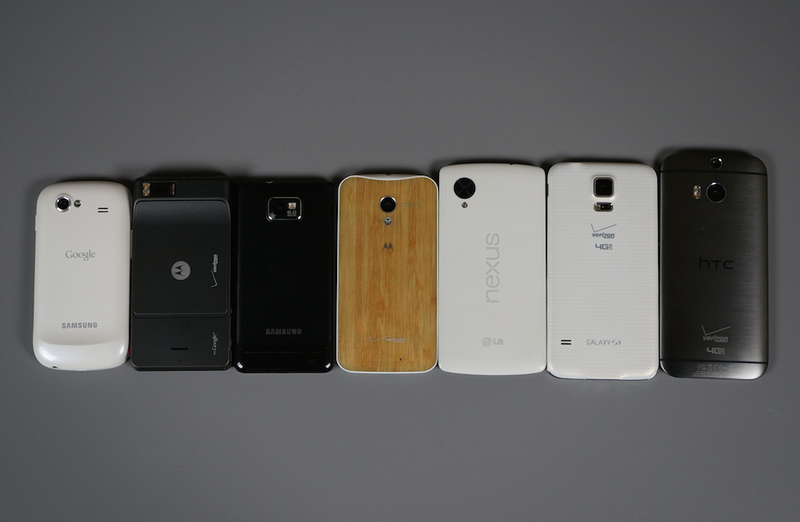 Does this mean that we, as consumers, should no longer expect major design revamps from the top OEMs? Should we only look forward to what new software these companies will bake into the operating systems they run? If this year was any telling as to smartphone “innovations,” then where do we go from here? We already have insanely-powered smartphones with crazy-high resolutions, capable of running complex software, followed by us only being disappointed that our phones are dying every night because battery technology is still trying to catch up. Below in the comments, feel free to share your thoughts on whether you think innovation in hardware and device design has reached a plateau. If you feel it has not, please share your ideas on what you might think is the next big step for mobile devices.